The other day, while fly fishing in the mountains, I suffered the inevitable: I got snagged. It was where the snag occurred that was so frustrating. I was aiming for a pocket of slowly swirling water on the far side of the stream… beyond a lone, high tree limb…across a deep, churning run. Having exhausted all other methods of getting the fly where I needed it to be, including my location, I backed up and tried to just cast it over to the target. Did I mention the tree limb? And that it was my favorite fly? And that I was without waders? The cast was graceful and looping, moving through the air like a curl of woodsmoke on an autumn breeze…and then, in an instant, the fly hung some twelve feet high on the solitary limb, firmly fixed by its hook. “I can’t believe I did that,” I muttered. 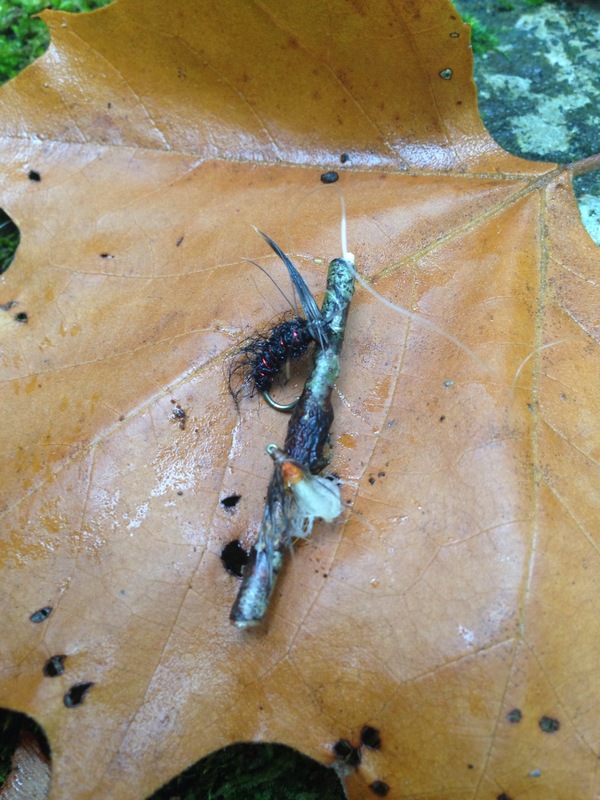 “Of all the limbs in all the streams in all the world, this one had to catch my fly.” I’m a novice fly fisherman, but this was still an incredible act of carelessness. The limb was high, and sparse, and a very small target, yet, I hooked it. Had that been intentional, it would have been impressive. Then it began to pour rain. I looked heavenward and let the drops hit my face, then gazed back at the limb. “God, what do You want to teach me in this?” I asked. There is always a lesson, always. I tried tugging the line upstream to free the hook. Nope. Throwing another loop toward the snag. Nothing. A quick wiggle. Again, no. Nothing was left but the nuclear option. I waded out into that waist-deep run, got under the limb, and pulled down. After momentary pressure, there was a quick “snap” and a small piece of the limb (with fly attached) fell into the current. Wading back to the bank, I looked at the offending scrap of wood. There, dug in deep, was my black fly. And right next to it…another fly. Someone else’s fly. From some earlier time. A tourist staying at the campground. A child being taught by his father how to cast. A local who was having a bad day. Beautiful, smart and godly fly fishing woman. Regardless of the original owner’s identity, one thing was clear: I wasn’t the first one to get snagged. That temptation you face has been battled long before you. Others have been rejected, lied about and betrayed just as you have been. Countless minds and hearts have struggled with how to respond in a godly way to the pressures of sin. There is a danger in thinking we are alone in getting caught up, but the greatest danger is thinking that the limb is too high, too distant or too small to pose any real threat. So how will you approach your snag? Thanks for all the thoughtful and honest reflections on your blog. I especially appreciate how you tie everything back to scripture. After reading this posting today, I went to read the versus surrounding the scripture posted at the bottom… with some investigation, I believe the reference is 1 Corinthians 10:13, instead of 2 Corinthians. I hope this helps anyone else who might be looking into the scriptures. Thanks again for the openness and writings you share. Thank you for your kind words and for reading. And thank you for your attention to the details!